Pregnancy is synonymous with changes, both physical and mental. Your body grows every day to make room for that little angel inside. It is like a magical experience to know how your unborn baby will develop inside you, right from the time of conception to the time of birth. 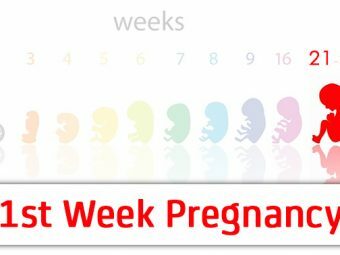 Here, we offer you a lowdown on pregnancy week by week and chart the wonderful journey you are about to embark on. So keep reading and keep getting amazed! In the first month of your pregnancy, your unborn baby will just be an embryo made up of two layers of cells. The two layers will later develop into your baby’s organs and body parts. In the first month, your unborn baby is just a tiny embryo. In fact, your unborn baby is just two layers of cells that will later develop into the various organs and body parts. The two layers are known as the epiblast and the hypoblast. At this stage, your amniotic sac will get ready for its upcoming role, when it will have to envelop your baby to keep your baby safe. Your unborn baby will spend all the time during pregnancy in your amniotic sac. The cells in your primitive placenta will start tunneling towards the lining of your uterus. As a result, it will help to create space so that the blood can also flow in. The blood will help to carry oxygen and nutrients in later weeks to your unborn baby. Your yolk sac will also start producing the red blood cells in your unborn baby and will help to deliver nutrients. It will do so till your placenta gets ready to provide nutrition to the baby. By the time you enter your fifth week, you will start noticing that you need to urinate more often and with an increased urgency. It happens because at this stage, the amount of blood in your body is growing and there is too much fluid that causes the extra pressure on your bladder. Your unborn baby is just about the size of a sesame seed right now. Also, your unborn baby has grown from two layers of cells to three, and each layer is folded over the other. On the top layer of the cell of your unborn baby, you have the neural tube along the fold. The neural tube will help to develop your baby’s nerves, spinal cord, backbone and the brain. The small blood vessels known as villi that help to make your primitive placenta will now help to deliver all the oxygen and nutrition to your unborn baby. By now, your yolk sac will also almost be at the end of its role in providing nutrition to your placenta that was in its developing stage till now. Your unborn baby will now be inside your amniotic sac and will float in the amniotic fluid, which will increase as the pregnancy progresses. By the sixth week, your unborn baby will have tiny hands that will look more like paddles instead of hands. The fingers will still be attached to each other, and by the end of the week, your baby will start moving the hands. Your baby will also have tiny feet that will look more like paddles instead of feet. The toes will still be attached to each other, and by the end of the week, your baby will start moving his feet. Your baby’s heart will also beat very fast now, almost at double the speed that your heart beats. Also, during this week, your baby’s heart will start forming a clear divide between the right and the left chamber. In the sixth week, your baby will also start to develop the tongue and vocal cords. In the seventh week of your pregnancy, your unborn baby will grow an eyelid that will cover the eyes halfway through. You will now feel a stronger and more urgent need to urinate than you did earlier. The blood in your body is growing at a constant pace, and it will create a lot of pressure on your bladder. As a result, all the extra fluid that accumulates in your bladder will make you want to urinate more and faster. In the seventh week, your unborn baby will develop something that will look more like a tail. It will be an extension of your baby’s tailbone and will soon be gone in the coming weeks. At this stage, your unborn baby’s intestines will also be growing and form a sort of loop that will gradually turn into the umbilical cord. In the second month of your pregnancy, your unborn baby will be almost the size of a kidney bean and will be moving a lot, especially in comparison to the first month. Also, during the second month, your unborn baby will develop very distinct fingers that will have webbed fingers. During this week, the nerve cells that are present in your unborn baby’s brain will start to branch out. Once that process begins, the nerve cells will start to connect with each other and form the pathways of the primitive neural. Your unborn baby’s eyelids will be completely translucent and will almost cover all of your baby’s eyes. At this stage, your unborn baby’s hands will also be flexed at the joint of the wrist and will be placed over the heart. The fingers will grow longer as compared to the previous week, but will still have webbing between them. Your unborn baby will also develop knees at this stage, and the feet will grow so long that they will almost meet in front of the body. Sometime around the ninth week or a few weeks later, your doctor may ask you to go for a chorionic villus sampling (CVS). If that does happen, the doctor will take cell samples from the very small projections in your placenta that are known as the chorionic villi. By the ninth week, your unborn baby will develop earlobes. Your baby’s eyelids will be completely shut now and will not open anymore till you are in the 27th week of pregnancy. At this stage, your unborn baby’s fingertips will also be a bit bigger as the touch pads will be developing. Your unborn baby will now be able to move the limbs, and most major joints in the body will also start to function. Joints in the body such as the shoulder, wrists, knees, elbows, and ankles will also be almost developed by now and start working. During the tenth week, your unborn baby’s brain will start to develop at such a rapid pace. As a result, your baby’s forehead will bulge a lot and will be placed high up on the head. Your unborn baby’s fingers will not be webbed any longer but will be entirely separated, with the fingers becoming individual entities. Also, your baby will start developing fingernails during this week. By the time you are in your tenth week of pregnancy, your uterus will become almost double the size it originally was. Blood cells will start developing in your unborn baby’s liver during the tenth week, and as the yolk sac will not be needed anymore to provide nutrition, it will slowly start to fade away. Around the eleventh week, your unborn baby’s bones will slowly start to become harder. Under your baby’s gums, small tooth buds will start making an appearance that will later develop into your baby’s first tooth after birth. The eleventh week is also the time around when your unborn baby may slowly learn how to open and close the fists. It will either happen sometime in this week or very soon in the following weeks. Even by the eleventh week, your unborn baby’s skin will be extremely transparent, so much so that all the blood vessels that run inside will be visible. 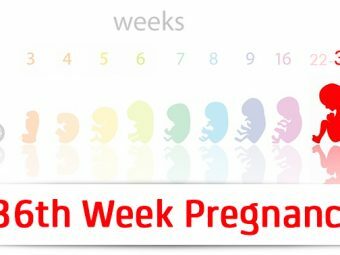 The twelfth week is the final week of your second month of your pregnancy. By this time, your unborn baby’s ears will come closer towards the position where they will be permanently placed on the side of the head. As compared to the last few weeks, your baby’s eyelids will become less transparent, and the eyes will also shift a little closer, in preparation to being set where they will be permanently be placed on the face. The intestines in your baby’s system have grown at a very fast pace till now so that they were protruding into the umbilical cord. By the 12th week of pregnancy, your unborn baby’s intestines will finally start to go back and settle in the cavity that is present in your baby’s abdomen for now. The fundus, or the top portion of your uterus, will now start to move higher and above your pelvic bones. As a result, you will notice the thickening and widening of your waist sometime around this week. By the time your baby reaches the third month of pregnancy, your baby will be almost three inches in length and will weigh almost an ounce. At this stage, your baby will also develop tiny yet unique fingerprints. Around the 13th week, your unborn baby’s urinary tract will be able to function on its own. As a result, your baby will now be able to flush out all the amniotic fluid through their urine that they were swallowing till now. Your unborn baby’s fingerprints will now be entirely unique and very prominent. Also, around this week, your unborn baby’s head will become more proportional to the body. It will now be almost a third of your baby’s total body size. By the 14th week, your unborn baby’s brain has developed at a very rapid pace. As a result, the various facial muscles in your baby’s face will get a lot of exercise in the form of squinting, grimacing and frowning. 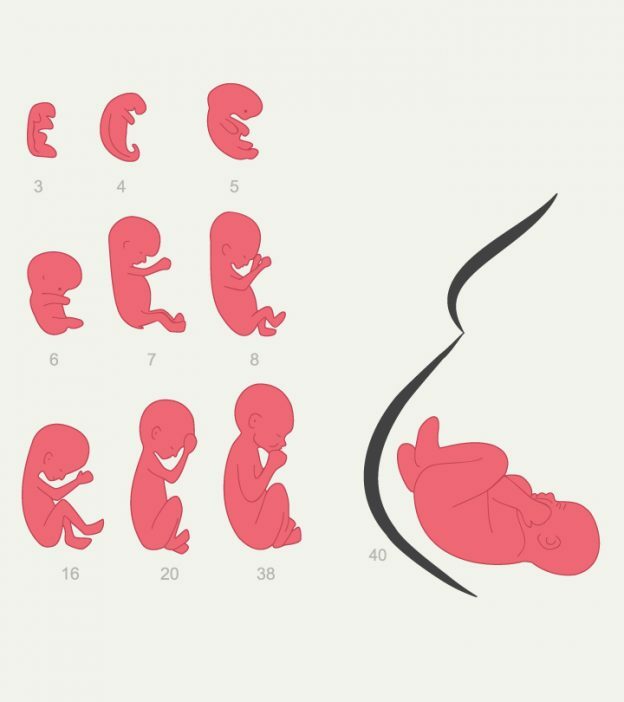 The arms of your baby were also quite long by now but will soon start getting into a more proportionate length by the end of the 14th week, as compared to the entire body size. A very fine covering of hair, known as the lanugo, helps to cover your unborn baby’s body and keep it safe and protected from foreign objects. Around the 14th week, the extremely fine and downy layer of hair will start coming up all over your baby’s body and cover it up. By now, the fundus, or the top part of your uterus, will already be above your pelvic bone and, as a result, it will now start to push out your tummy a little, giving it the first appearance of a baby bump. By the time your unborn baby enters the 15th week of pregnancy, your baby will be very busy while inhaling and exhaling the amniotic fluid. As a result, it will provide a lot of exercise to the air sacs in your baby’s lungs and help them develop. Your unborn baby’s eyelids are completely shut and will not open till you reach the 27th week of pregnancy, but your baby will still be able to sense light. If you flash a beam of light towards your tummy, your baby will most likely try and move away from the source of the light. Your baby’s legs will also now grow at a much rapid pace than the hands and will grow longer than the arms. By this stage, your unborn baby will be able to move all the limbs and joints. By the time you enter the 16th week of your pregnancy, your unborn baby’s circulatory system will start working, and the heart will pump almost 25 quarts of blood in a day. Your baby will now also develop very distinct toenails. At 16 weeks of your pregnancy, your baby’s head will become more erect as compared to the earlier weeks. The pattern of your baby’s scalp will also start to develop now even though the hair will start to grow only later. By the time you reach the fourth month in your pregnancy, your unborn baby will be about five inches long and will weigh about five ounces. At this stage, your baby’s skeleton will also begin to get harder from a rubbery cartilage to a more bony texture. By the 17th week, your baby will start to develop a keen sense of hearing. Your baby will also be able to move all the joints, and the skeleton will become harder and bonier instead of the rubber cartilage it was earlier. The umbilical cord, which will help to provide all the required nutrition to your baby, will now grow thicker and stronger. Even at the 18th week, your unborn baby’s blood vessels will still be visible through the skin. The ears will now be positioned properly and permanently around your baby’s head and will stand out and away from the head. 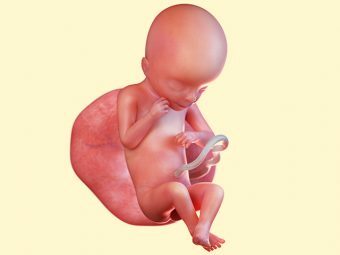 At 18 weeks, your baby will be very busy in trying to move the arms and legs, and you will soon be able to feel the movements in your tummy if you have not felt them already. In the next few weeks, your doctor will schedule you for an ultrasound examination to check how your baby is growing and check your baby’s overall development. At this time, the doctor will also check for any signs of birth defects and will also look at how your placenta is positioned. The 19th week is a very important time for the sensory development of your unborn baby’s brain. At this stage, your baby’s brain will start to form separate areas that will help your baby develop a sense of taste, smell, hearing, touch and vision. By this time, your unborn baby will also start having the first appearance of hair on the scalp. By the 19th week, your baby’s arms and legs will be in the right proportion as compared to the rest of their body as well as to each other. By now, you may start to feel some pain in your lower abdomen which will be caused because the ligaments that help to support the growing size of your uterus will now begin to stretch. Around the 20th week of your pregnancy, a sticky and black substance known as meconium will start to accumulate in your unborn baby’s bowel. Meconium is made up of the various secretions from your baby’s digestive system, the amniotic fluid that your baby keeps swallowing as well as sloughed cells. At the time, it will only accumulate in the bowel and will finally come out of your baby’s system after birth. You will probably see it in the first soiling that your baby will do after birth. In addition to the downy layer known as lanugo, your baby’s skin will now become covered with white substance that is known as the vernix caseosa. It is a sticky substance that will help to keep your baby’s skin protected for the long weeks ahead when your baby will be covered in the amniotic fluid. The fundus, or the top portion of your uterus, will now come to almost the level of your belly button. By the fifth month, your unborn baby’s eyelids and eyebrows will be in their designated place. At this stage, your baby will measure more than ten inches in length if you were about to stretch out your baby’s legs completely. By the 21st week, the eyebrows and eyelids of your unborn baby will be fully developed. At this time, you may start to develop varicose veins in your legs. As your uterus is growing a lot now, it will exert a tremendous amount of pressure on the large vein, known as the inferior vena cava. It is the vein that helps to flow out the blood from your legs to the heart. In the 22nd week of your pregnancy, your unborn baby’s eyelids will remain completely shut. Under your baby’s eyelids, your baby’s eyes will keep developing but the iris, which is the round colored part inside the eye, will not yet have its color pigment. 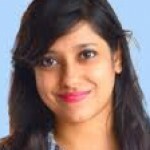 Your baby will now start to develop lips that will become more and more prominent. The tooth buds will also develop under your baby’s gums. By the 22nd week, your unborn baby’s skin will start to look wrinkled and old and will continue to look like this till your baby gains enough weight to fill out the skin. Once you reach your 22nd week of pregnancy, you will most likely start to develop stretch marks as your belly grows more. By now, your abdomen will start to expand a lot so that it can help to accommodate your growing baby comfortably. Your belly button will also pop out any moment now if it still has not. By the 23rd week, your unborn baby will start getting used to the many loud noises that will keep coming from outside. Your baby’s skin will still have a wrinkled and pinkish or reddish look, no matter what the baby’s ethnicity and skin color after birth. Now that your uterus is growing so much, it will start to put pressure on those veins that return the blood from the lower part of your body. As a result, you may experience swelling in your feet as well as your ankles, a condition that is known as edema. By the 24th week, your unborn baby will start developing distinct taste buds. Your baby’s lungs will also develop well and will develop various branches in the respiratory tree. The lung will also start to produce cells that will help to produce a substance known as a surfactant that will help the air sacs present in your baby’s lungs to inflate without trouble. By now, the top of your uterus, also known as the fundus, will be almost an inch above the belly button and may look as big as a football. By the sixth month, your unborn baby will weigh almost a pound and a half, and as your baby starts getting that first baby fat, the skin will start to wrinkle less. By the 25th week, your baby will start getting baby fat that will help to fill out the skin and make it look less wrinkled, making your baby look more like a newborn. Your baby’s hair will also be quite developed by now and will have its texture and color. It is still possible that it may change after your baby is born. Your uterus will continue to grow at a fast pace and will put a lot of pressure on those veins that return blood to your heart. As a result, you may sometimes feel dizzy if you lie down on your back for a long time. Your baby will start to develop the nerve pathways in the ears and will be able to respond better to sound. If you are carrying a baby boy, the testicles will now start to descend to the scrotum for the next two to three months. Your center of gravity will now start to change as your body grows bigger and you may feel a lot of pain in your back. Also, the many pregnancy hormones will loosen up your joints and ligaments. Now finally in the 27th week, your unborn baby will be able to open and close the eyes that were shut tight till now. Your baby will also start to sleep and wake up at regular intervals. During this time, your baby may start sucking on the finger and may also get hiccups, which you may be able to feel occasionally. While your uterus continues to grow, you will feel a pressure on your blood vessels that return the blood from your legs. It can lead to the pain that you may start to feel in your legs around this time. Your baby’s eyelashes will develop now, and your baby will also be able to turn the head from side to side. Fat will also start to accumulate on your baby’s body as the due date starts to arrive nearer. By this stage, you will be able to feel your baby’s movements more clearly. Your baby’s skeleton will now get almost 200 milligrams of calcium in a day. The head will also start growing bigger as your baby’s brain develops and forms the many neurons. You may suffer from hemorrhoids at this stage, which are swollen blood vessels in your rectal area. However, these will get better in the few weeks after delivery. The growing uterus will exert a lot of pressure on the veins and may make you feel dizzy if you lie down on your back for long. By the seventh month your unborn baby will weigh about three pounds and will be more than 15 inches in length. Your baby will also be able to open and close the eyes and follow any source of light. By now, almost a pint and a half of amniotic fluid will surround your baby and will increase in the next few weeks. 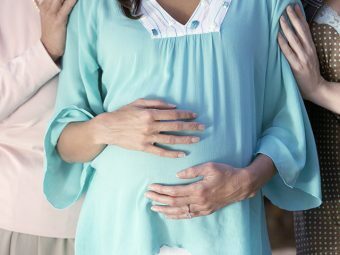 As your baby will start getting bigger and take up more space in the uterus, the amount will again decrease. Your baby will now be able to distinguish between light and dark. Your uterus will keep growing and may make you a little off balance. The layer of fat that your baby will now develop will help to fill out the hands, legs and torso. You will feel a tightening in the muscles of your uterus. The contractions, known as Braxton Hicks, will also be more common now. Your baby may have a light fuzz on the head or a full head of hair by now. The toenails and fingernails of your baby will now start to grow properly. Your uterus will push up towards your diaphragm and put more pressure on your abdomen, which can lead to heartburn and shortness of breath. Your baby’s skin will get clearer and less red. The skull will not be completely joined and will still be very pliable, which will be helpful if your baby has a vaginal birth and has to move out of the birth canal. By the eighth month, your unborn baby will weigh about 4 and 3/4th pounds and will be rounder than before. By the 34th week, your baby will get more fat on the body that will start to fill out the skin and help in regulating body temperature at the time of and after birth. Your baby’s lungs will also be well developed by now and in the case of a birth at this time, your baby will still be able to survive easily. The amniotic fluid will be at its peak now and will start to reduce from now. Your baby will put on almost an ounce of weight a day starting now. By this time, your uterus will reach almost 15 times its original volume and will poke you in the ribs. By now your baby will probably come to a head down position and the head may be dropping lower towards your pelvis. You may experience more Braxton Hicks now. Most of the body hair from your baby’s skin will start to disappear along with some of the whitish substance known as vernix caseosa. You may experience more vaginal discharge that may have some blood spots too. By the ninth month, most babies are more than 19 inches in length and weigh about 7 pounds. Your baby will now get the color pigment in the iris. Your baby’s grasp will develop stronger now. Your baby will continue to get more baby fat. The outer skin cells of your baby’s body will now disappear and form new skin underneath. Your baby’s nails and hair will keep growing till the day of birth. There will be soft spots on your baby’s head that will remain for the first year after birth. The amniotic fluid will be markedly less now. The skin on your baby’s body will start to peel off as a result of being in the amniotic fluid for too long. With so many changes happening on a weekly basis, it is no wonder that pregnancy is a magical experience. Remember that not all babies may develop at the same pace, so listen to your doctor and understand your baby’s growth and development. Moms, until what term did you carry your baby and when was your baby born? Tell us below. What Causes Pregnancy Glow & Is It Real?